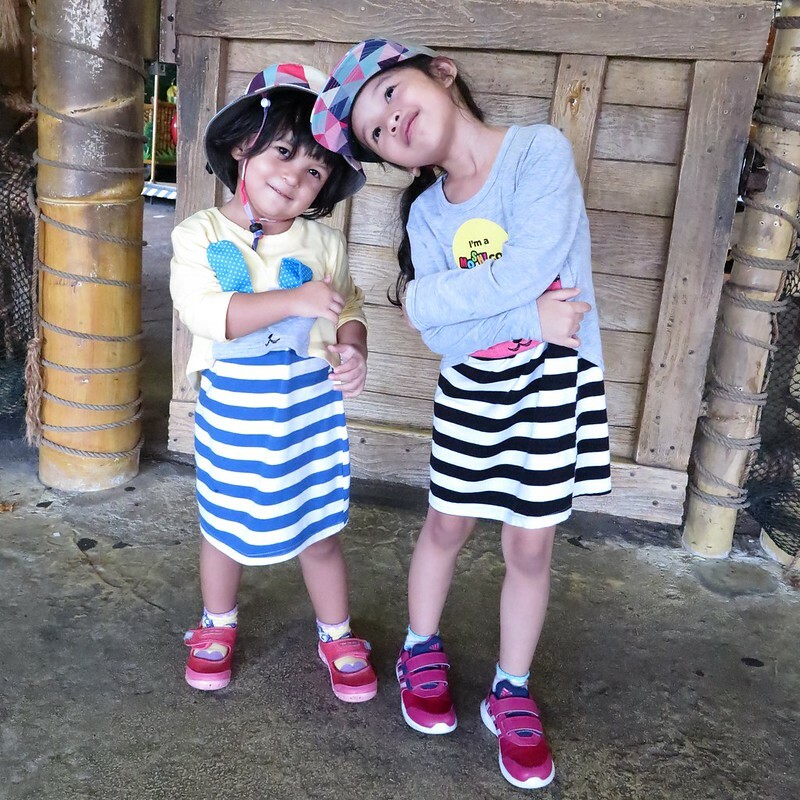 We wanted a getaway but didn’t want to spend long hours traveling, so staycation it was over the weekend before things get crazy again at work for Mummy. 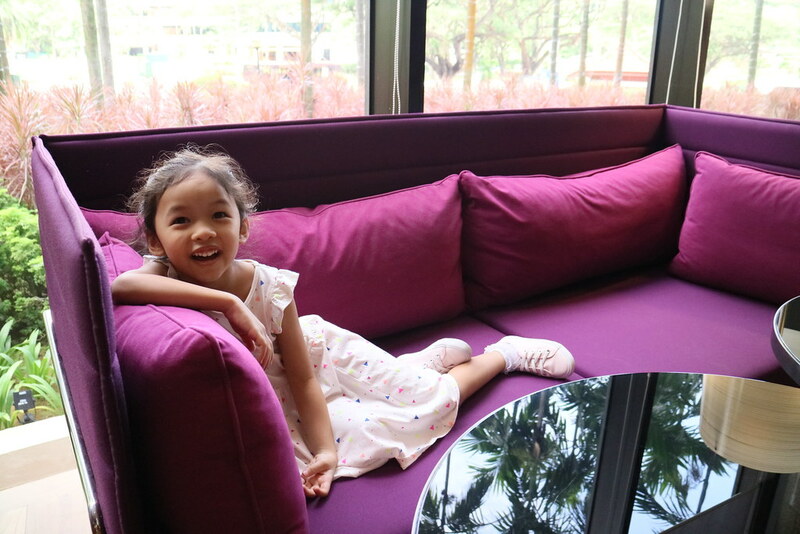 This time, we checked in to Holiday Inn Singapore Atrium, our first family staycation with Holiday Inn Singapore Atrium (part of the InterContinental Hotels Group, IHG). What makes an ideal family staycation for us now? 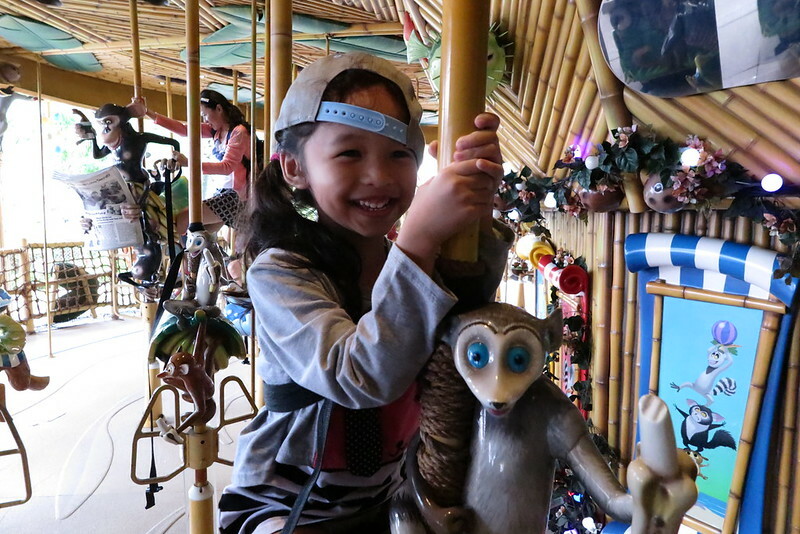 With the change of routine around the house since beginning of this year, we try as much as we can to have the parents do nothing and just spend time relaxing and bonding with our two girls. (Because it is almost impossible to pull mummy away from work for more than an hour 7-days a week!) A no-frill all-inclusive staycation is what we need once a few months, just to recharge and have fun just being together. So whenever there is a chance for a family staycation we will jump right into it! The 512 rooms at Holiday Inn Singapore Atrium were recently refurbished (in 2015). The modern interiors creatively incorporate design elements inspired by the iconic Singapore River and the colourful rows of shophouses along its historic riverbanks. Comfortable bed, space for the kids in the room and of course a bath tub! These are all we needed for our fuss-free weekend together. The girls were occupied and happy, while the parents just lazed and chill. Amenities for kids waiting for them in the room. Nice touch Holiday Inn. 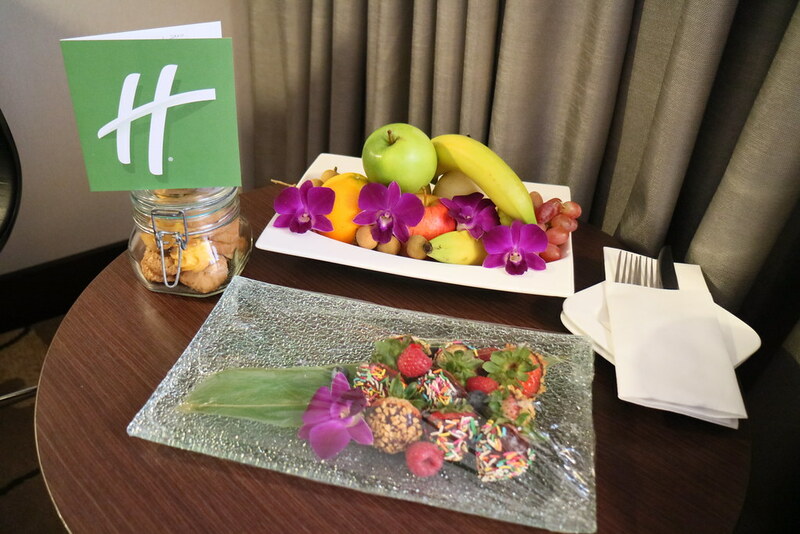 Fresh fruits, chocolate coated strawberries and yummy cookies awaited for our arrival. The girls were all over them right after I snap this shot. The girls were fast to start exploring and chopping their bed upon entering our executive room. It was impossible to take any proper shots of the room before they start messing it up. 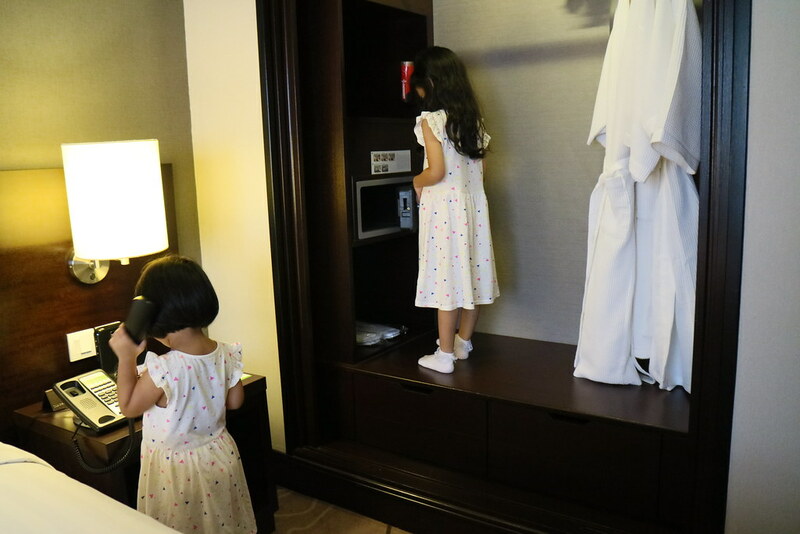 The little ones were busy checking out the in-room amentities while Mummy was trying to snap some photos of the room. 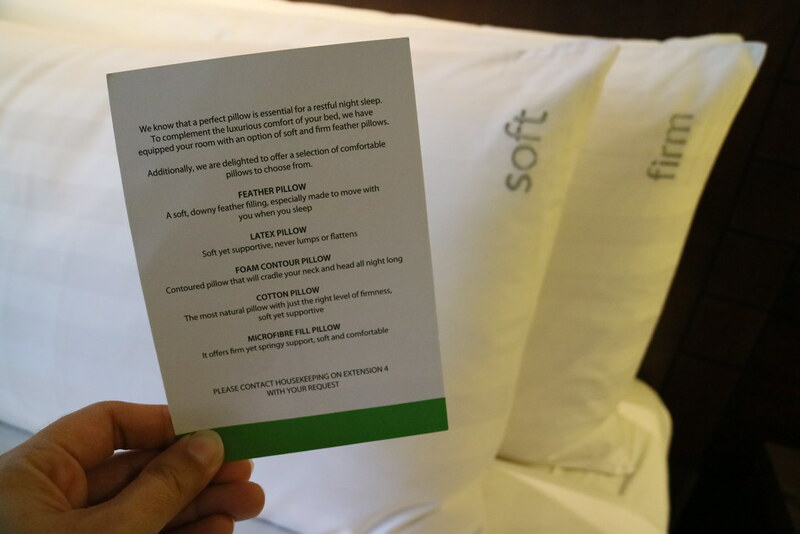 Been awhile since I come across a pillow menu. I was almost going to ask for one of each to test the difference. Dinner and Breakfast and Kids Dine Free! 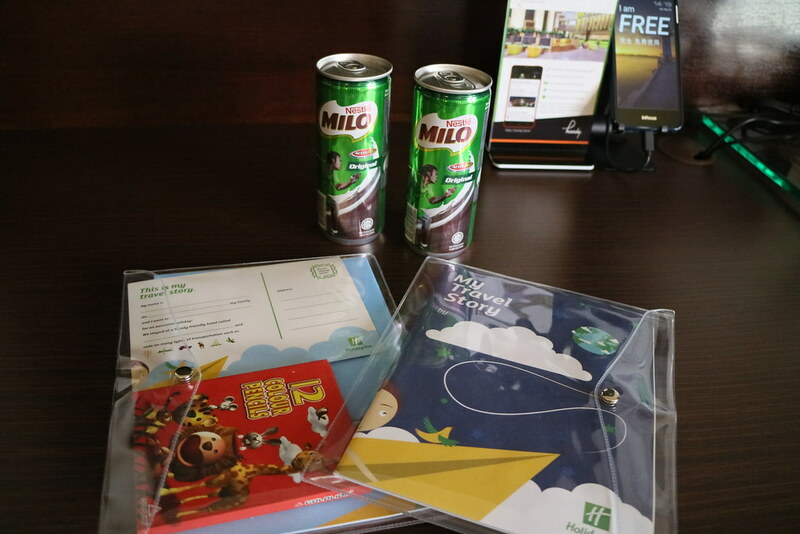 Kids below the age of 12 years old get to stay and dine free at Holiday Inn Singapore Atrium. So there was no extra charges for the additional bed in our room, dinner and breakfast were both included in the staycation package. 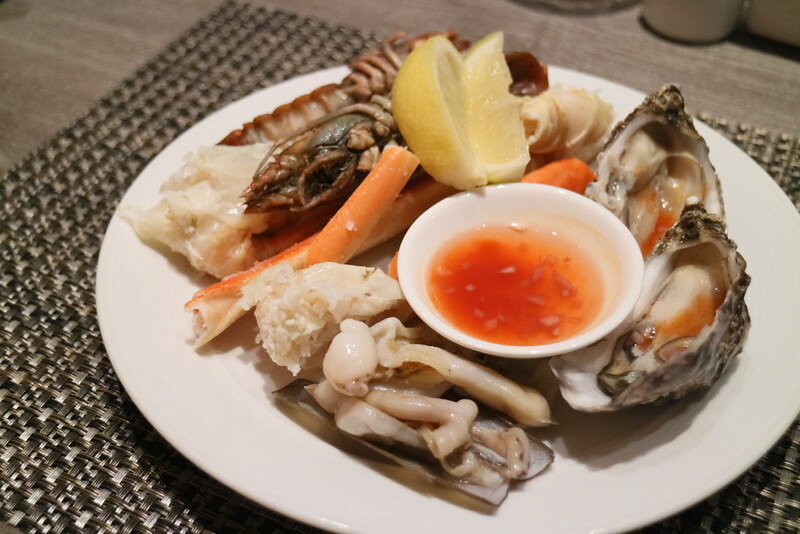 I’ve to say we were pleasantly surprised that the dinner was surprisingly good, better than one of our recent experience at another hotel which cost almost double for their dinner buffet. 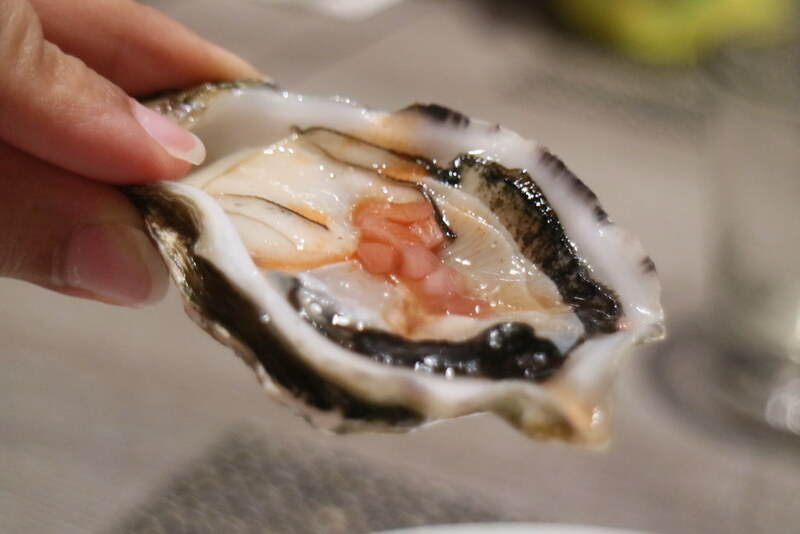 I had one too many oysters that evening at Atrium Restaurant. Breakfast the following morning was as good as it looks. 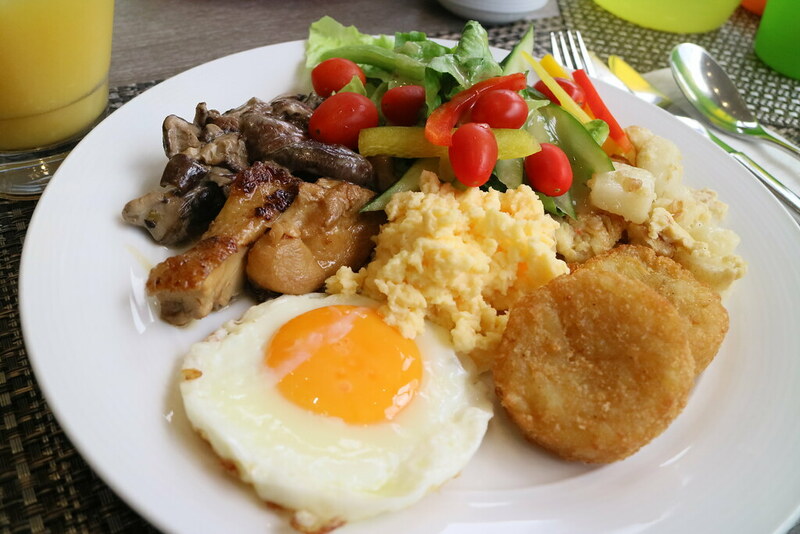 Weekend breakfast at Holiday Inn Singapore Atrium is served till 11am great for families like us who prefer to laze longer in bed during the weekend. We reached Atrium Restaurant slightly past 10am, and the crowd had somehow dispersed by then, so we did not have to squeeze through the buffet spread. Food was replenished fairly quickly too. Chilling by the window at Atrium Bar 317. 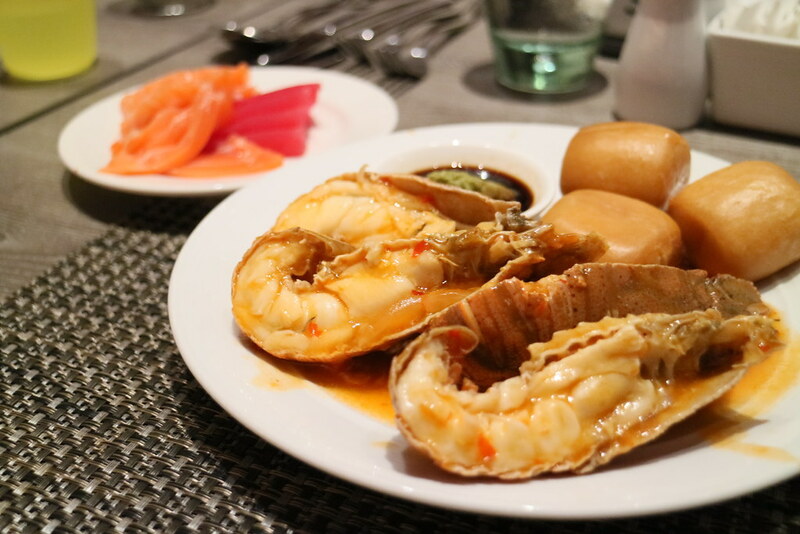 One mistake we did during our stay at Holiday Inn Singapore Atrium was to have a late lunch at Atrium Bar 317 instead of walking into the Atrium Restaurant at level 4. 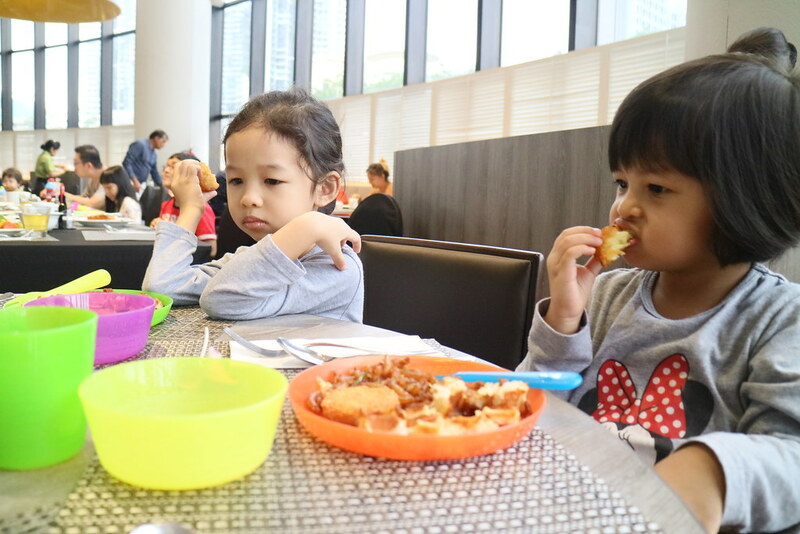 We should have clarified with the waitress before we placed our order at the Atrium Bar 317, as we had assumed Kids will get to dine free at all their dining options within the hotel. Nevertheless, we had a chilling good time at the Bar. 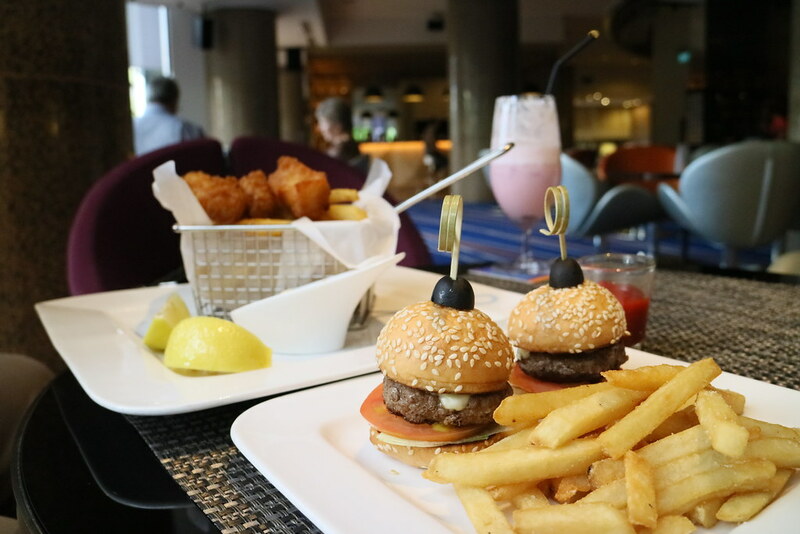 Kids Menu at Atrium Restaurant also has more varieties and the menu has been developed in partnership with Nutrition Australia to provide a nutritious balance of foods to support children’s nutrition requirements. Here’s a video of our previous visit to the hotel to check out their new Kids Menu. 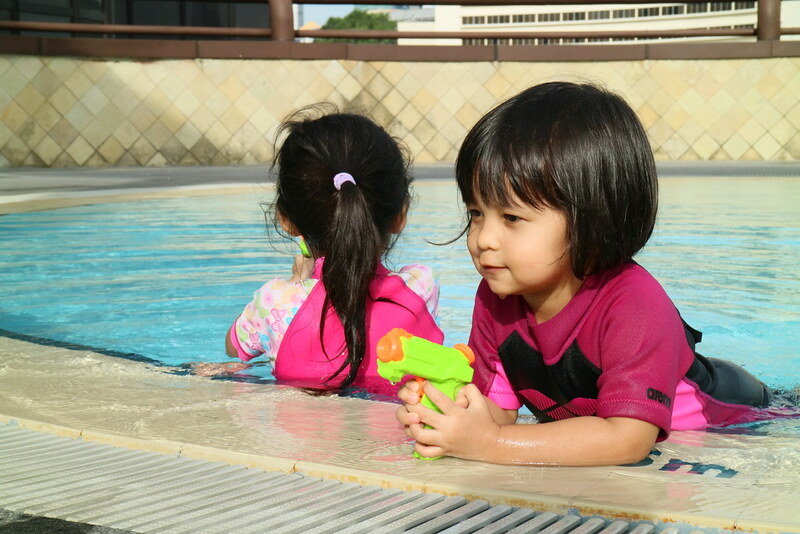 I asked what the girls enjoyed most during the stay, and like all the other staycations we had as a family, they reply was in unison, “The Pool! And the bath tub!“. Now that both of them are more daring and adventurous than before, they could spend their time alone in the pool (for a looooong time) while I chill and catch up with my Korean drama on Viu with the fast wifi connection around the hotel. Win-win for all! Ha! 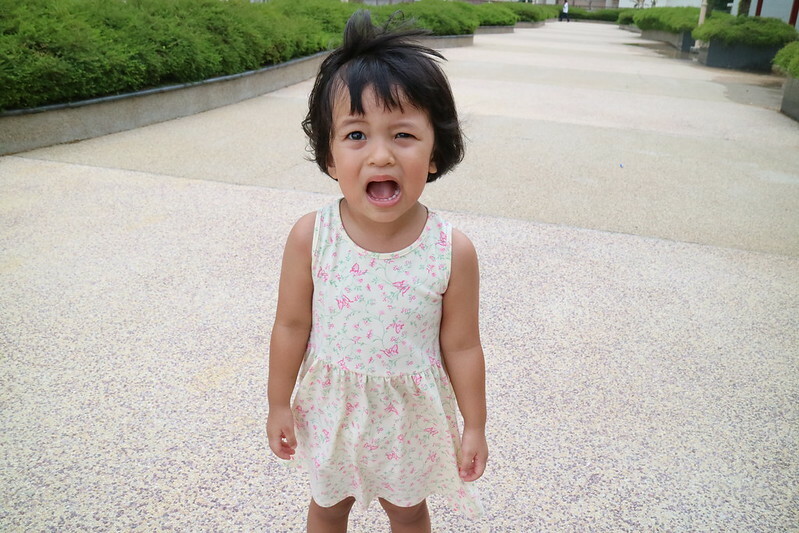 Book your next family staycation with Holiday Inn Singapore Atrium from their website. Now where shall we check-in to next for our next family staycation? Suggestions? The second holiday-inn post that I have read today! Ok.. i must admit that the buffet spread looks really super! Reminded me of the time where we went hotel-hopping while looking for a nice venue for our wedding. Holiday-Inn atrium was one of our selected venues because of their food. Slurrrrp. Love the photo of your girls checking out the amenities – making sure everything is in working order! Good to hear many eateries offer kids eat for free in the hotel too. Value for money! So sweet of them to provide the welcome gifts for everyone especially the kids. oooooooo Breakfast and Dinner included. Kids eat for free. Good deal! But the room and pool doesn’t look like much though. I so loved the welcome packs for the kids. 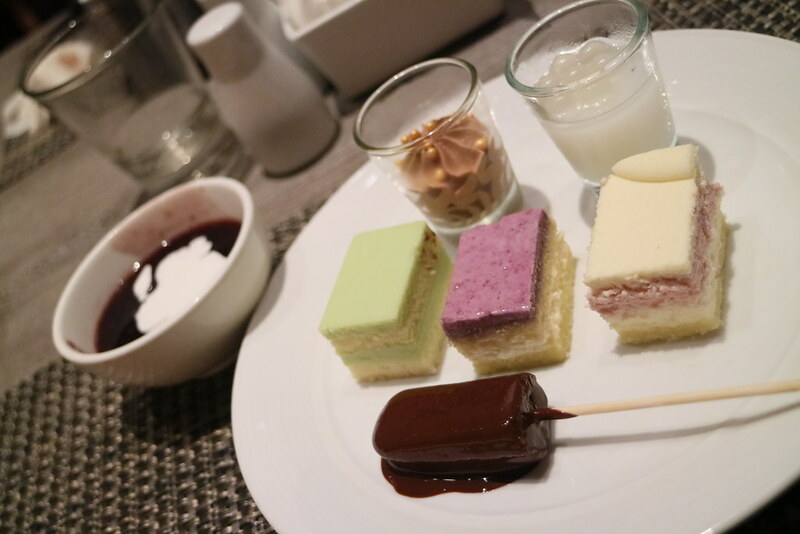 Desserts look delish too. Great choice for families to steal some we-time right in the heart of the city. Central location, nice view (I hope). I had a business conference there before, the only thing negative is Concord SC is quite sleezy. I think I need a staycation soon too ^.~ Being foodies, all 3 of us will definitely fall in love with the buffet spread..hee! The food at the atrium bar looks good! Is this the former glass hotel?